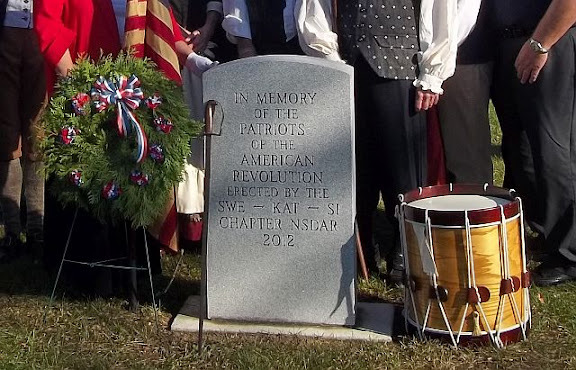 Photos of the Revolutionary War monument erected in 2012 by Swe-kat-si Chapter NSDAR and many generous donors. 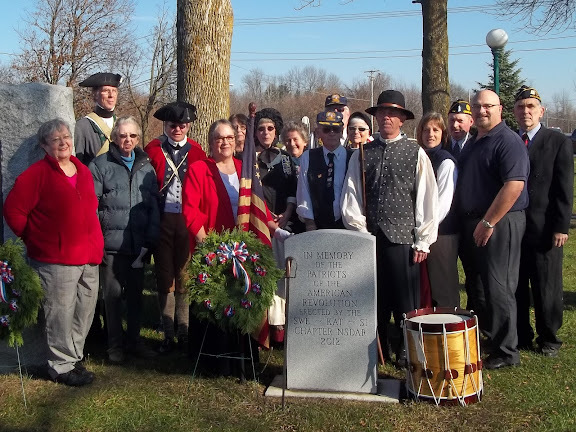 This monument was placed in Groulx Park in Ogdensburg NY along with other existing war memorials and was dedicated at Veterans’ Day 2012 ceremonies before a large crowd. Graves marked by the Swe-kat-si Chapter of the DAR. 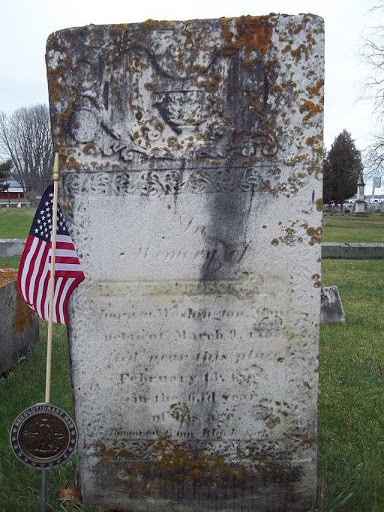 Photos of Revolutionary War Patriot Private Isaac Plumb, DAR Patriot Index # A089775, and his first wife, Sylvia Ward, in Ogdensburg Cemetery, Ogdensburg NY. His second wife, Catherine Van Kuren Lane, is not buried next to him. Other photos may be seen on the Anne Cady website. Please note that on the original gravestone of “Sylvia” her name is spelled “Sylva”. Findagrave memorial # 27400119. Isaac Plumb resided in Milford, New Haven County, CT during the Revolutionary War. He served in CT as a Private under Capts Pruden, Hines and Baldwin, and under Lt Davidson, Col Ferin. He was born Feb 1761 in Milford CT and died 20 June 1852 in Ogdensburg NY. This cemetery contains more than 8,000 graves. Look in a section to the left of the chapel. Grave marked by Jennifer Baird Bixby, Swe-kat-si Chapter NSDAR. 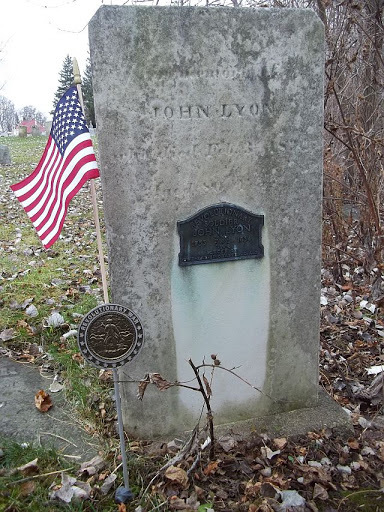 Photos of Revolutionary War Patriot Private John Lyon, DAR Patriot Index # A072777, and his third wife, Mary (last name unknown), in the Ogdensburg Cemetery, Ogdensburg NY. His first wife was Rachel Reeves; second wife was Martha Babbitt. Neither of these seems to be buried with him. John and Mary Lyon are buried in the very back section of this cemetery with over 8,000 graves. There is a marker embedded in his stone that was placed there by the Swe-kat-si Chapter NSDAR, date unknown. Other photos are available on the Anne Cady website. Findagrave memorial # 27410034. 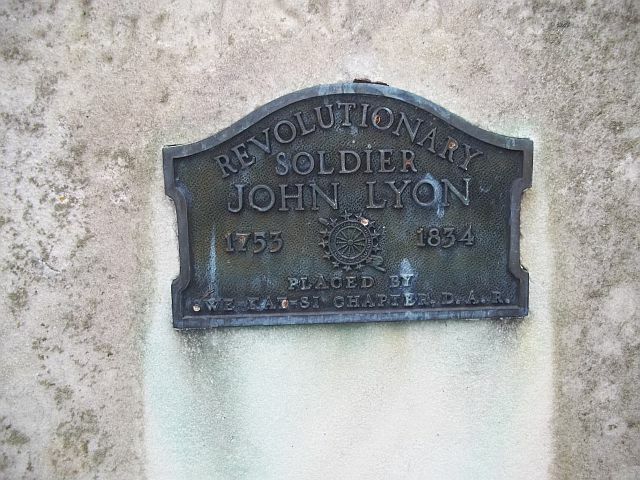 John Lyon resided in Morristown, Morris County, NJ during the Revolutionary War. He served in NJ under Capt Bailey and Cols Ford and Frelinghuysen, also under Capt Moses Munson. He was born 26 August 1753 in Newark NJ and died 3 February 1834 in Oswegatchie, St. Lawrence County, NY. Notes on the DAR website indicate his pension # was R6558V but was rejected because something written on the pension didn’t have the court’s approval. 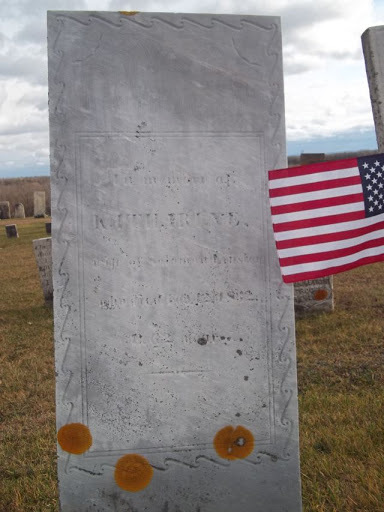 Photo of Revolutionary War Patriot Private James Battell, DAR Patriot Index # A007564, and his wife Ruhama Mellen in the Ogdensburg Cemetery, Ogdensburg, NY. This photo is also found on the Anne Cady website. This cemetery contains more than 8,000 graves. Look in the section directly behind the chapel. James Battell resided in Mendon, Worchester County, MA during the Revolutionary War. He served in MA under Capts Warren Daniels, and Cols Read and Nixon. 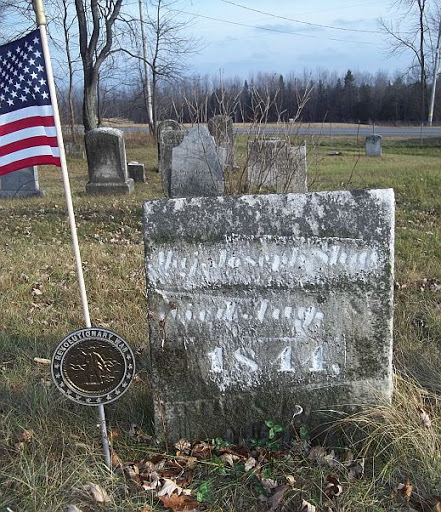 He was born in Holliston MA on 27 June 1759 and died in Oswegatchie, St. Lawrence County, NY on 3 March 1848. His pension # is S44601. Note that his name on the stone is spelled Battell, not Battle as in the generic spelling on the DAR Patriot Index. Also, Ruhama as spelled on her stone is not Ruhamie as on the DAR Patriot Index.Findagrave memorial # 27384697. Photo of Revolutionary War Patriot David Judson, DAR Patriot Index # A063472. This stone is in the Judson Family Plot in the Ogdensburg Cemetery, Ogdensburg NY, right behind the chapel. 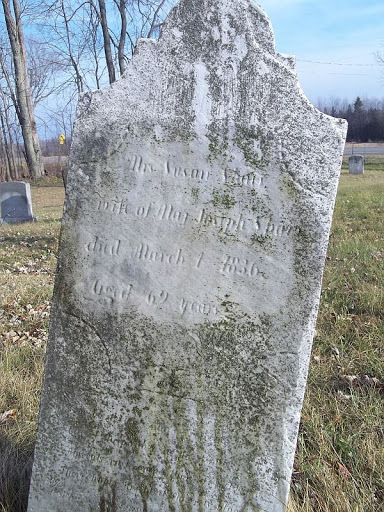 This grave was removed from the Black Lake Cemetery in St. Lawrence County NY, date unknown. His wife Elizabeth Davies does not appear to be with him. Photo is also available on the Anne Cady website. The stone is difficult to read even with the naked eye. Findagrave memorial # 93728215. David Judson resided in Woodbury, Litchfield County, CT during the Revolutionary War. 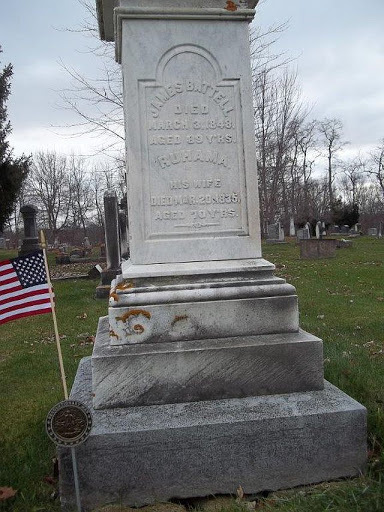 He served in CT and achieved the ranks of Captain and Quartermaster. He served as 2 Lt and 1 Lt under Col John Chandler, and as Capt, CT Line, Brig QM, 1st CT Brig. He was born in Woodbury CT 9 March 1755 and died in Ogdensburg NY 14 February 1818. Revolutionary War Patriot Pvt. David Ford, DAR Patriot Index #A040784, and his wife Annastasia Cook, buried in the Ford Family Vault on Lincoln Avenue in Ogdensburg NY. 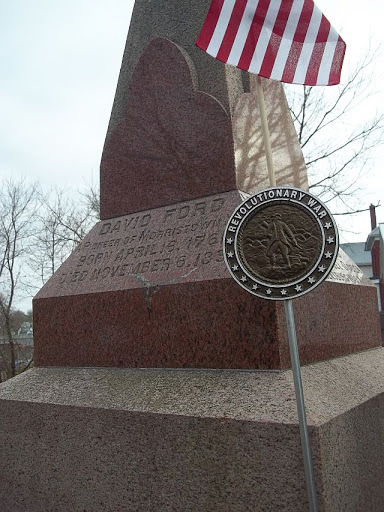 David Ford resided in Morris County NJ during the Revolutionary War. 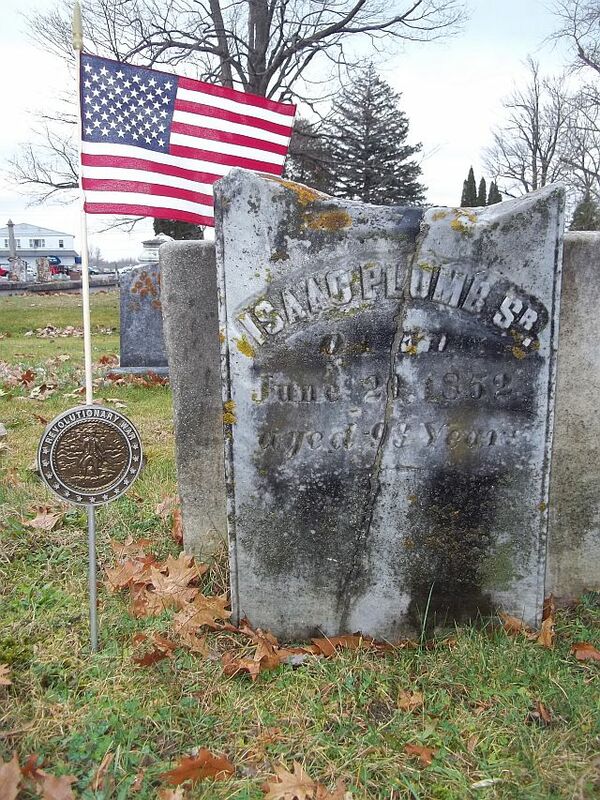 He served as a Private in NJ in Spencer’s Regiment, Continental Line. He was born in Morristown NJ on 19 April 1761 and died in Ogdensburg NY on 6 November 1835. After the war he achieved the rank of Lt. Col. during the Whiskey Rebellion, which is inscribed on a plaque on the front of this monument. He was a pioneer of Morristown NY. Annastasia was the daughter of the Rev. Samuel Cook, DD, first Rector of Frederickton, New Brunswick. 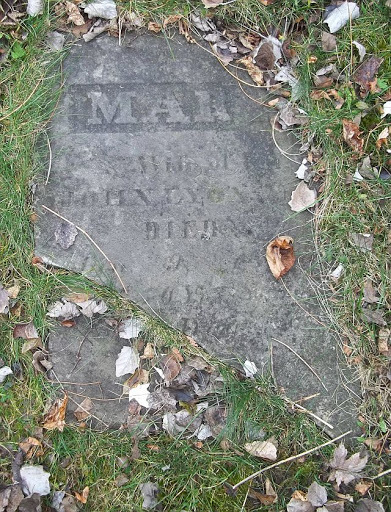 She died 19 November 1846, aged 75 years. Findagrave memorial # 45711315. There are 19 Ford family members buried in this vault built about 1829. Nathan Ford (1763-1829), brother to David, chose the location on the Oswegatchie River, in what was then a picturesque wooded spot, with the front of the vault facing the river and the back facing present-day Lincoln Avenue. The vault has been vandalized a lot over the years and the door to the vault is now permanently sealed. A great deal of mystery and legend surround this vault, among other questions the fact that 3 people buried there died before the erection of the vault. Where they were buried previous to that is unknown, as well as how and when they were moved. For more history on the vault refer to Ford Family Vault on Find a Grave website. Also see Anne Cady’s website for more photos. Photos of Revolutionary War Patriot Pvt. 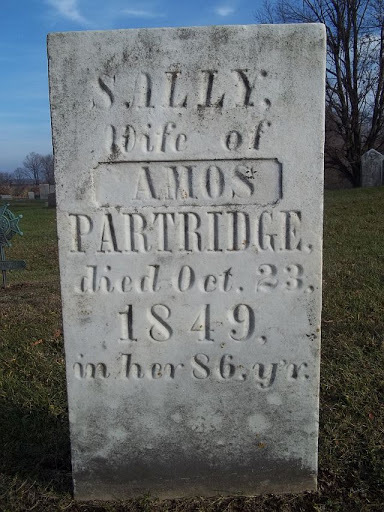 Amos Partridge, DAR Patriot Index # A088410, and his wife Sally Harvey, buried in the Purmort Cemetery in De Peyster NY. Amos resided in Mendon, Worcester County, MA during the war, and in Chesterfield, Cheshire County, NH. He served in MA under Capt Samuel Warren and Col Joseph Reed. He also served in NH under Capts Scott, Kimball Carter, John Pratt, Oliver Cobley and Col Ellis. Findagrave memorial # 27224633. 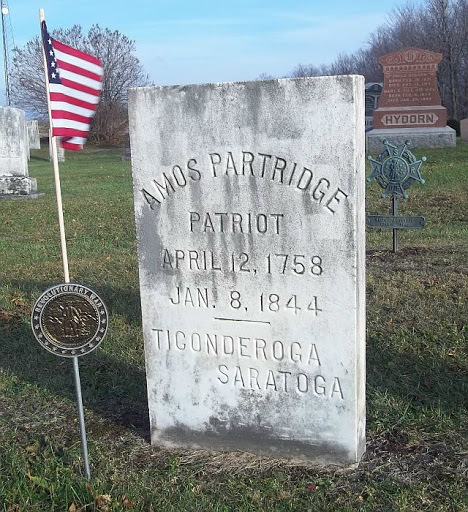 Amos Partridge was born 12 April 1758 in Mendon, Worchester County, MA. He died 3 January 1844 near Ogdensburg NY. His pension number was SW26831. Note the old SAR grave marker in the back of his stone. Purmort Cemetery contains more than 360 grave stones. It is extremely well-groomed and maintained. In 2013 every single stone was cleaned by the cemetery association so that all are totally legible. This cemetery is stunning. Other photos may be seen on Find A Grave and Anne Cady’s websites. Photos of Revolutionary War Patriot Pvt Joseph Shaw, DAR Patriot Index # A102137, and his wife, Susan Mason, buried in East Road Cemetery, De Peyster NY. Joseph Shaw served in MA under Captains Houden, Smith Loper, Warner, and under Cols Bigelow, Hanley, Marshall and Shepherd. His gravestone refers to him as Major, but only his rank of Pvt is recognized by the DAR. It is possible he held the rank of Major in some other capacity. Findagrave memorial # 25533390. Joseph resided in Sturbridge, Worcester County, MA during the war. Other photos can be seen on Find A Grave and Anne Cady’s websites. 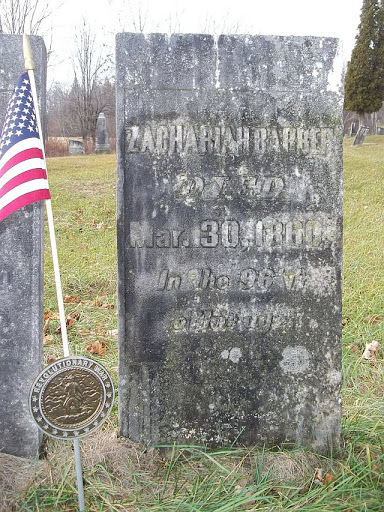 Photos of Revolutionary War Patriot Pvt Zachariah Barber, DAR Patriot Index # A005924, and his wife Mary Ellis, buried in the East Road Cemetery, De Peyster NY. Many stones in this small cemetery are illegible. Findagrave memorial # 25533156. Zachariah served in MA under Col Dean, no residence given. He was born 17 June 1764 in Medway MA, and died near Ogdensburg NY on 30 March 1860. Other photos may be seen on Find A Grave and on Anne Cady’s website. 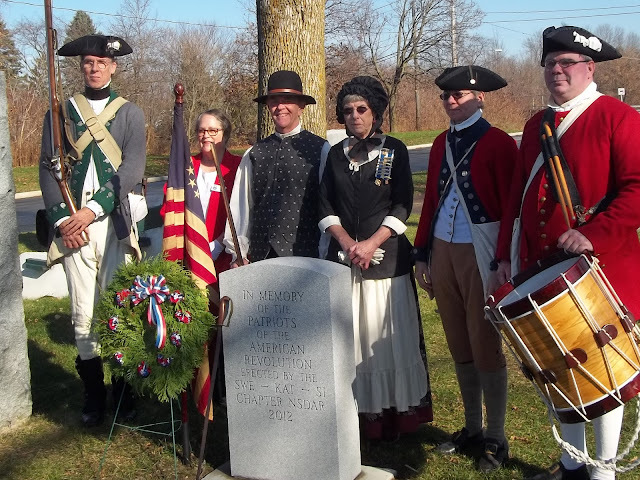 Photos of the graves of Revolutionary War Patriot Sgt. 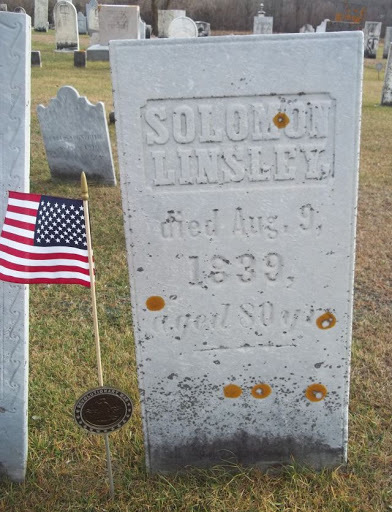 Solomon Linsley, DAR Patriot Index # A070627, and his first wife Katherine, birth name unknown, buried in the Old Madrid Cemetery, Madrid NY. (Note that the DAR has him listed under the generic spelling of Lindsey.) His second wife was Lucy Fairbanks. Findagrave memorial # 30978456. Solomon resided in Litchfield CT during the war. He was born in Litchfield CT on 21 July 1759 and died in Madrid NY on 8 August 1839. One of his gravestones says he served in the “Conn. State Troops during the Rev War”. The DAR lists him as serving in CT as a CPl under Capts Smith, Gillett, Morris, and Taylor and under Cols Mead, Enos and Swift. Other photos may be found on the Anne Cady and Find a Grave websites. 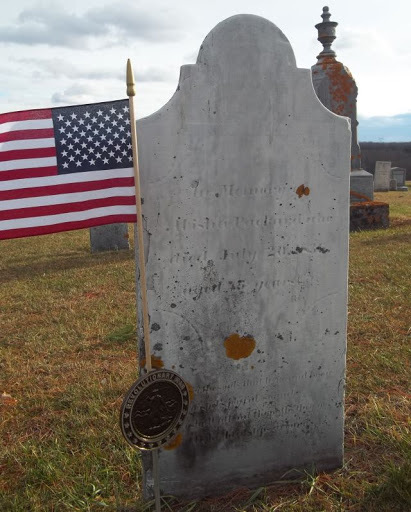 Photos of the graves of Revolutionary War Patriot Pvt. Oliver Eastman, DAR Index # A035790, and his wife Cynthia Hewett, buried in the Old Madrid Cemetery, Madrid NY. 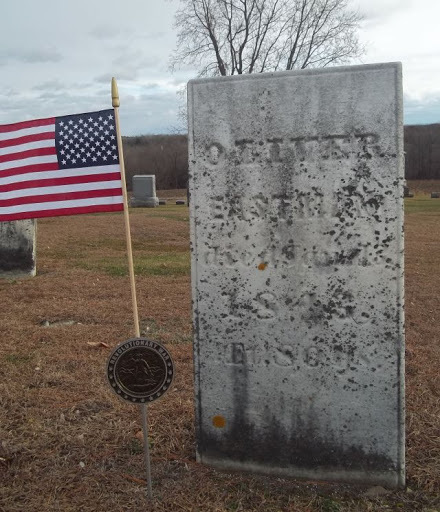 Oliver was born c. 1763 in Norwich CT and died 31 January 1843, aged 80 years, in Madrid NY. Cynthia died in Madrid NY 26 February 1823 in her 54th year. Findagrave memorial # 30978215. During the war Oliver resided in Rupert VT and served in the VT militia under Capt Nathaniel Smith and Col Ira Allen. Other photos may be seen on Anne Cady and Find a Grave websites. Photo of the grave site of Revolutionary War Patriot Pvt. 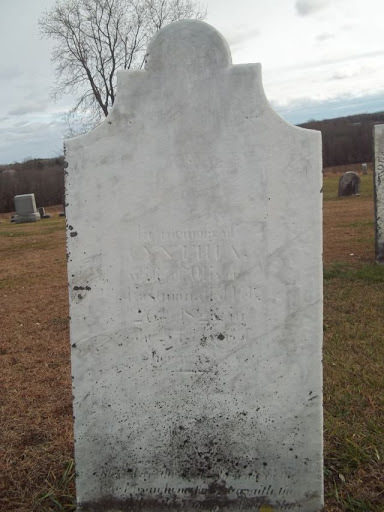 Abisha Packard, DAR Index # A085549 FAG# 29408810, buried in the Old Madrid Cemetery, Madrid NY. His second wife, Rebecca Preston, is buried next to him. His first wife was Esther Fuller. 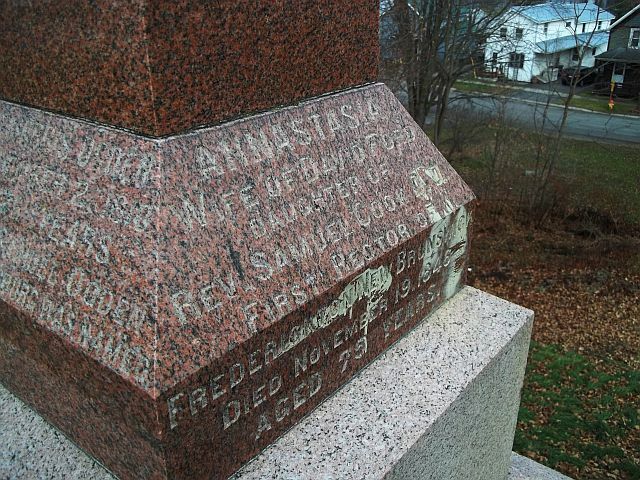 Abisha resided in Hardwick, Worcester County, MA during the war. He was born in MA 10 April 1761 and died in Madrid NY 20 July 1836 at the age of 75. Rebecca died in Madrid NY 8 April 1846 at the age of 72. 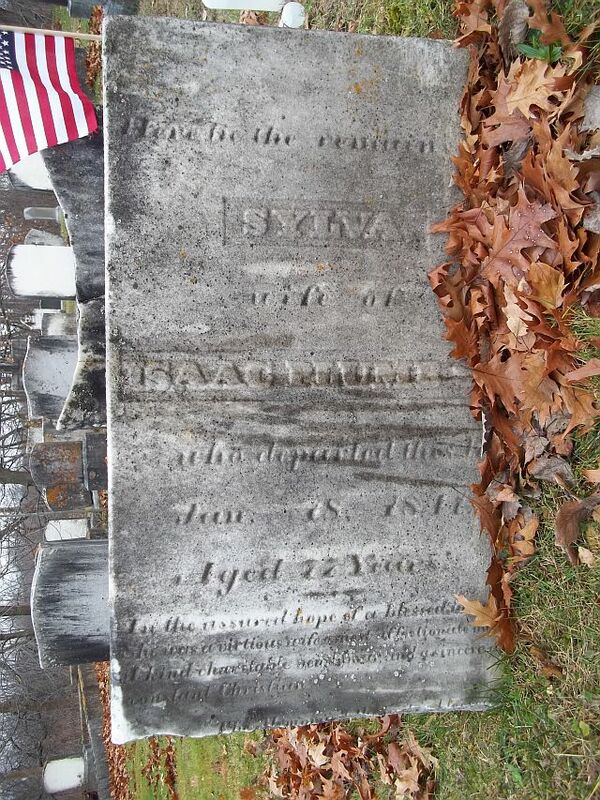 Abisha served in MA under Capt Benjamin Warren and Col Ichabod Alden. Other photos may be seen on Anne Cady and Find a Grave websites. Photo of the grave of Revolutionary War Patriot Pvt Joseph Hall and his wife Bethia in Old Madrid Cemetery, Madrid NY. 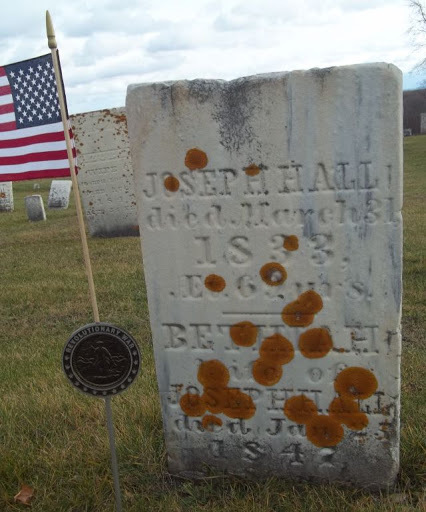 Joseph Hall is not on the DAR Patriot Index but he did serve in the Revolutionary War, as stated on his stone. Joseph died 31 March 1833 at the age of 69 years in Madrid NY. Bethia died in Madrid NY on 25 January 1847. Joseph served in the VT Milita in Col Benjamin Wait’s Battalion under Capt John Benjamin. Other photos may be seen on Anne Cady and Find a Grave #30978307. Photo of the grave of Revolutionary War Patriot Sgt. Samuel Chipman, DAR Patriot Index #A021639, and his wife Hannah Spofford, buried in the Old Madrid Cemetery, Madrid NY. Other photos may be found on Anne Cady and Find a Grave #30978146. Samuel Chipman resided in VT during the Revolutionary War. He was born in Salisbury CT 10 December 1763 and died 24 March 1839 in Madrid NY. 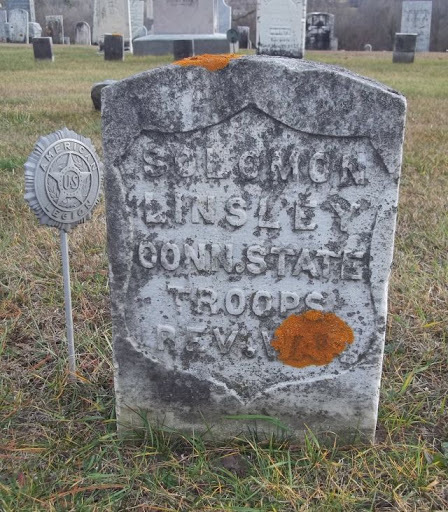 Eldad Evans, Sgt., DAR # A037 486, Pension # S12882, FAG # 49710955, served in Colonel Samuel Ashley's NH regiment of militia. 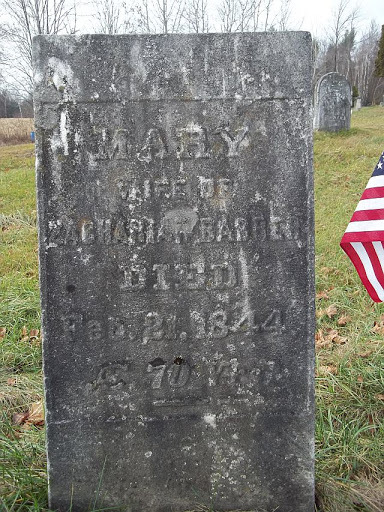 Eldad married Betsy Barrett on Feb. 15,1796. He was born April 20, 1749 in Northfield, Mass. and died June 3, 1835 in Theresa, NY. Burial in Kelsey Bridge Cemetery, Theresa, NY. 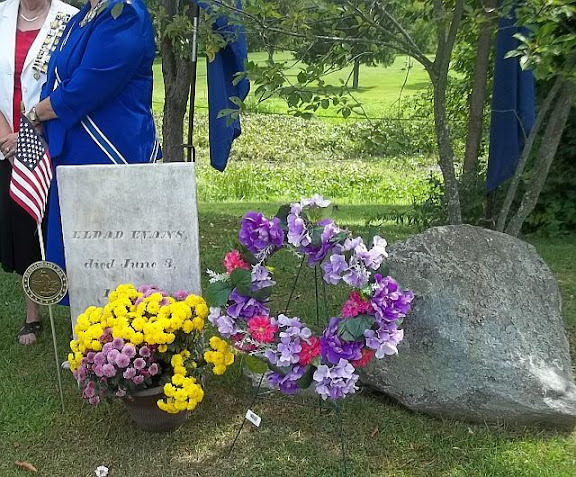 A ceremony to mark his grave occurred Aug. 5, 2015, hosted by Roberta Evans, 3x great granddaughter, and Roberta Calhoun-Eagan 4x great niece. Marked by Roberta Evans, Swe-Kat-Si chapter NSDAR. 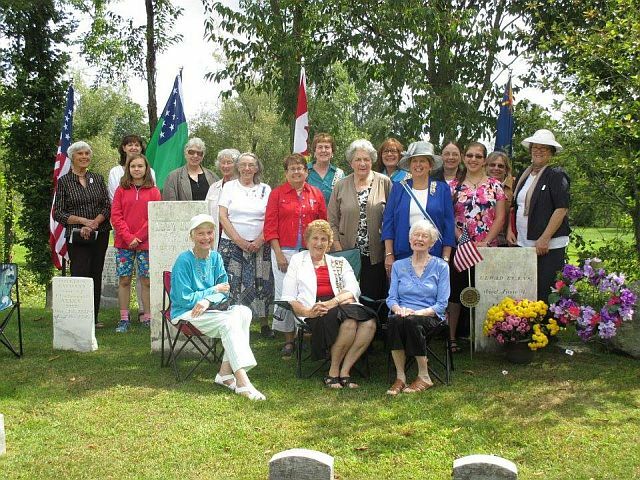 Various family members and DAR officers and members at marking ceremony in Kelsey Bridge Cemetery, Evans Mills, NY in 2015. Fantastic!!! Finally honoring our patriots and preserving the knowledge of their accomplishments! Without their efforts, the United States of America would not exist.